BPU says it won’t waive T-Bones’ utility payments – Welcome to Wyandotte Daily! An effort to waive utility payments that the T-Bones owe the Board of Public Utilities was rejected last week at a BPU board meeting. David Alvey, a BPU member who is running for mayor, made the motion, which passed 5-0, at the BPU meeting to reject the bailout request. According to Alvey, the Unified Government asked the BPU to forgive $172,700 of $314,000 that the T-Bones owes the BPU for electricity and water over the past few years, and the UG also asked the BPU to provide the T-Bones with a special rate of 6.5 cents per kilowatt hour in the future. 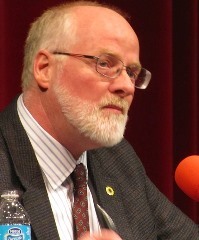 Alvey said he believes the proposal was not fair to the BPU’s ratepayers. The BPU will eventually shut off power to poor people who do not pay their bills, and if it has another policy for businesses, it’s not fair, he believes. Alvey said it isn’t for the BPU to decide which businesses make it and which ones don’t. There are other businesses that can’t pay their utility bills, and the BPU doesn’t get to decide which ones are successful. Alvey thinks the UG may next propose to pay the utility bill, or part of it, through its funds. He said if the UG decided to pay the T-Bones’ utility bill, he would protest that as a taxpayer. He said he doesn’t think it’s the UG’s job to subsidize businesses with his tax money. If he were elected mayor and the issue comes up in the future to the UG, he said he would not support subsidizing the baseball club. Alvey said he met with the UG about three weeks ago, and he was told then by the UG that the T-Bones had not tried to find private financing. “If private money wasn’t solicited, why was it brought to BPU ratepayers?” he asked. David Mehlhaff, BPU spokesman, confirmed that the BPU vote last week to reject the request was unanimous, and he confirmed that the T-Bones, not the UG, owe the utility payments to the BPU. Kane said that the UG has helped the T-Bones before. The UG bought the T-Bones stadium three years ago, but the agreement with the T-Bones states that the T-Bones will pay the utility bills. “It’s extra difficult when we shut off other people’s electricity that have lived here years and years,” Kane said. He didn’t recall other businesses whose electric bills were waived. He said he heard about the bailout effort earlier in some private “three-on-three” meetings that the UG held with three commissioners at a time. If it comes before the UG Commission for a vote on whether the UG will pay the T-Bones’ electric bill, they would have to show him something really compelling for him to vote for a waiver of the electric bills, he added. Tourism in the Village West area of Kansas City, Kansas, is “doing great,” Jobe said. She added it’s very early in the season for the T-Bones, and the weather wasn’t the best for the first games, but in general, tourism is doing well in the Village West area. There was no response from Kansas City, Kansas, Mayor Mark Holland’s spokesman for this story. “As the members of this Board are aware, the Unified Government has asked the BPU to forgive $172,700 of the $314,000 that the T-Bones owes the BPU for power and water over the past several years. “Additionally, the Unified Government has asked the BPU to provide a special rate to the T-Bones going forward, of just 6.5c per kilowatt hour. That rate would not even cover the cost of producing or distributing the electricity, so the BPU would, in effect, be subsidizing the T-Bones on the backs of our other ratepayers. “When this proposal was brought to our attention, I expressed my concerns, as I know other members of the Board did as well, that this proposal is not fair to our ratepayers. “First, three years ago the Unified Government agreed to purchase the stadium from the T-Bones because the T-Bones was not making enough money to pay all of the expenses for upkeep. I asked Don Gray at that time, and Doug Bach, if the BPU would now have to provide free power and water to the stadium because it would now be owned by the UG; we all know that the BPU already provides over $7m in free utilities and services to the UG each year. I was assured that BPU would not be providing free utilities but yet, here we are, being asked to provide a subsidy to the T-Bones. “In our meeting with UG just three weeks ago I asked if the T-Bones had tried to find private financing for their operations. I was told that they had not: one has to wonder why private pockets were not tapped by the T-Bones. And if private money wasn’t solicited, why was it brought to BPU ratepayers? What do the ratepayers get out of the deal? “Third, as far as I know, if any other business or resident were to be this far in the hole to the BPU, we would shut off their utilities. We all know people, many of them poor or elderly or on fixed incomes, who have had their power shut off. It is clearly unfair to not enforce our policies on everyone in the same manner. “Moreover, I can name at least three businesses that have gone out of business in the past couple of years, who could easily make the claim that if they had been given this same kind of deal from the BPU and the UG, that they might still be open. How can we claim to be fair and transparent when others do not get this kind of deal, or even know that such a deal was possible for them? “I have been told that the UG has now changed their proposal, but not by much: the T-Bones would still get the special rate of 6.5 c/kwh, but that the Unified Government, that is, the taxpayers, would make up the difference between what the electricity actually costs and what the T-Bones can pay. So, the BPU ratepayers would not be subsidizing the T-Bones electricity, but the taxpayers will. If that is what the UG wants to do, that is their business, but as a taxpayer I protest. “Moreover, the new proposal, as I understand it, is that the BPU would still forgive $172,700 of the amount the T-Bones owe from previous years. In my conversation with Don Gray, our GM, I expressed my opposition to agreeing to wipe out that debt. I understand that this decision may be at the discretion of the GM, and I respect that; however, I think the public needs to know what stand the members of this Board is taking on this proposal. “So at this time I am asking for a sense of the Board. I move that it is the sense of the Board that we oppose providing the T-Bones a special rate for electricity that is not currently available through existing Board policies, and I further move that it is the sense of the Board that the T-Bones pay for their past due utility bills, and that all applicable policies and procedures be implemented in regards to their past due account. “Finally, I think this is important so that our General Manager can clearly and consistently communicate to the UG the position of this Board. We are elected to this Board to represent the ratepayers and to provide reliable power and safe water, at the most affordable cost, to our ratepayers. I for one did not commit myself to subsidizing a failing business on the backs of the other ratepayers. I wish my elderly mother’s BPU bill could be paid by the UG and that she’d get a below cost of production rate going forward. How about if Holland give up his bodyguards and use that quarter million a year spend on the T-Bones. Alvey’s right. It is not the UG’s or the BPU’s job to decide the winners and losers. They can raise their ticket prices to cover costs. It’s still a good value for the entertainment provided. The absolute audacity of the Unified Government (Holland, Doug Bach et al), to even suggest this bailout and reduced rate, coupled with Edwin Birch’s rather pompous statement considering the leasing of a tax exempt “government owned” facility… as if “government owned” implies the politicos themselves. How utterly unbelievable that any such proposal would be made (and made public), just prior to an election. Why not present this inane proposal on an upcoming ballot and leave it to the rate & taxpaying public? (That’s not how it’s done here.) And then, to have made this proposal in the company of David Alvey, who is actually running for Mayor? Does Holland actually expect to be re-elected? Good-bye Mark and take Edwin Birch and Dave Bach with you. Silver platter delivery for Mr. Alvey. Seems a bit more like an orchestrated intentional “passing of the torch”. And what better method to achieve that goal than setting the stage for your “challenger” to perform in the role of “People’s Champion”? Kudos to David Alvey. He could not have had a better political bone thrown his way than this little morsel at this particular time. Thanks indeed for bringing this into the light… yet I wonder just how random this entire sequence of events is. Mr. Alvey has “nodded in our general direction” many times in the past concerning PILOT charges and other items that pique our interest, yet is that enough to earn and warrant the votes necessary for this “passing of the torch”? What indeed, has Mr. Alvey accomplished to relieve the burdens placed upon the citizens? As the headline states, the “BPU won’t waive”… yet does the BPU not do as the UG dictates? I “reject” the increased property assessment that the majority of us rate & taxpayer’s received this year, yet what good did that actually do? The BPU Board and Mr. Alvey can “reject” and attempt to waive all that they like. No, we should not subsidize the T-Bones, nor should we be so easily persuaded to accept Mr. Alvey as our heir apparent to the throne of Mayor. And by no means, should Mayor Holland and his “Merry Band” retain their positions.Ye olde “snouts in the public trough”. There is also another running for mayor, D. Keith Jordan, and he does have a Facebook page. I think I will be going with him, I am so tired of all these retread politicians in K.C.Ks. No way, I am sick and tired of the city using our money to fund all these fat cat developers who keep going bankrupt and cannot pay their bills. We have never seen any benefit from the lottery, the Woodlands, Nascar, or the Legends. Lots of promises, but nothing has ever come through. The mayor and none of the city council people are qualified to be making large financial decisions and they need to knock it off. Let business sink or swim without our money. If making the T-Bone’s pay the bill which is now what, 3 years old? Why didn’t Alvey say something back then? He and the others on the BPU board are so against this why is this an issue now? The UG owns BPU. Now they have Alvey running so of course they are making a big stink over this. If Alvey is for saving the taxpayers money, then why is BPU working with Home Service Warranties to fix issues that was always covered by BPU. Who do they send out? Oh, it will be BPU. Now you are paying extra to BPU. Basically Holland wins, we keep suffering over bad decisions. Alvey wins, BPU gets more freedom to raise rates and the people still lose. BPU has a responsibilty to shut off their power. No way – I like the T-Bones and attend a few games each season. But they are a business that needs to pay their bills. The ratepayers nor the taxpayers should be subsidizing. If your product isn’t selling then figure it out. I do not support any reduction and i definitely do not support putting the burden on the taxpayers. Certainly we don’t need to be letting a private company off of the hook for the bills they owe, however do we cut off our nose to spite our face? 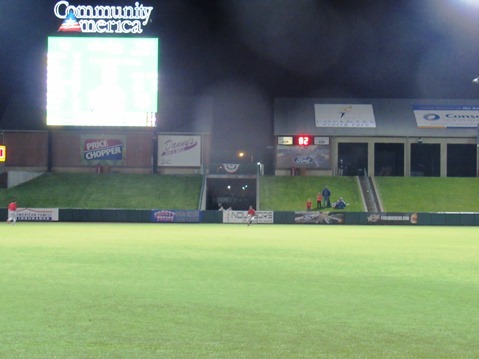 How would the T-Bones going out of business impact this community if we end up with that baseball stadium sitting empty as we try to lure more developers to the area? Coupled with the tragedy at Schlitterbahn, can we afford to let a key tenant of The Legends fail? On a side note, I wonder how much the success of the Royals over the past few years impacted the T-Bones? I am guessing it was a pretty big impact — why go to a minor league game when our pro team is winning? With the Royals struggling again, perhaps the T-Bones will see an uptick in attendance this year. The funky named minor league baseball trend is over. Most businesses go out of business at some point. I am not throwing stones because I’ve known business failure myself… If you are 6 figures past due on your electricity bill and you asking for a bailout.. your business is not long for this world. The world will start getting even more cruel. You are failing. That is valuable land. It is time to move on. This. The death of every once successful mall starts with the demise of one or two tenants. The large anchors can hold on for quite a while under their own steam, but every small format business out there relies on the full variety of stores and entertainment as attractions to get people in the door. Maybe you just needed to go to the book store, but end up shopping at several different clothing stores while you’re there. Maybe you were going to a T-Bones game with the family, and you decide to get dinner with the family before and some ice cream after. Maybe you don’t care if the T-Bones stay in business, but do you want to see Coldstone go under?? That’s just Un-American! Sounds to me like the T-Bones need a bookkeeper. Sounds like BPU let them go in the red for a long time. Put the T-Bones on the level payment plan. Taxpayers don’t pay my bills.